Neon made a name for itself by offering high-end content across platforms in an international market. It had successful phone and web-based apps but struggled to fully permeate the market without the ability to cast content to the TV. 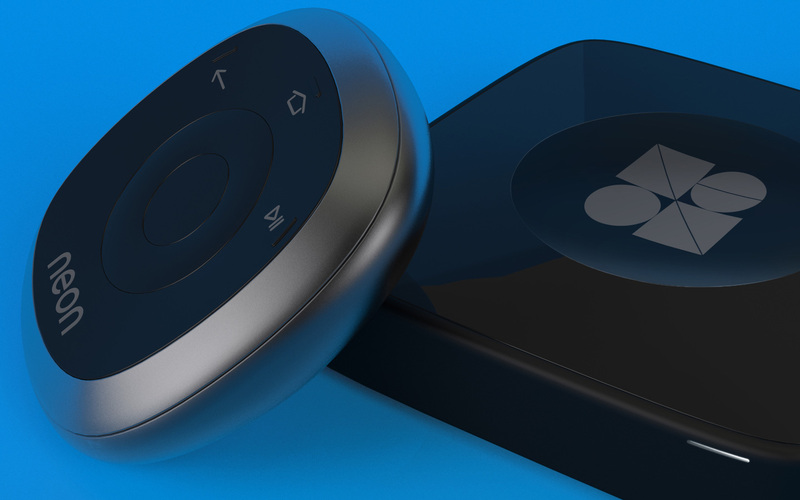 Loft worked with Neon to close the gap and create a set top box and remote so that Neon could work as seamlessly in the house as it does on the go. Neon offers the best TV and movies on your phone, tablet, computer and TV anytime, anywhere. 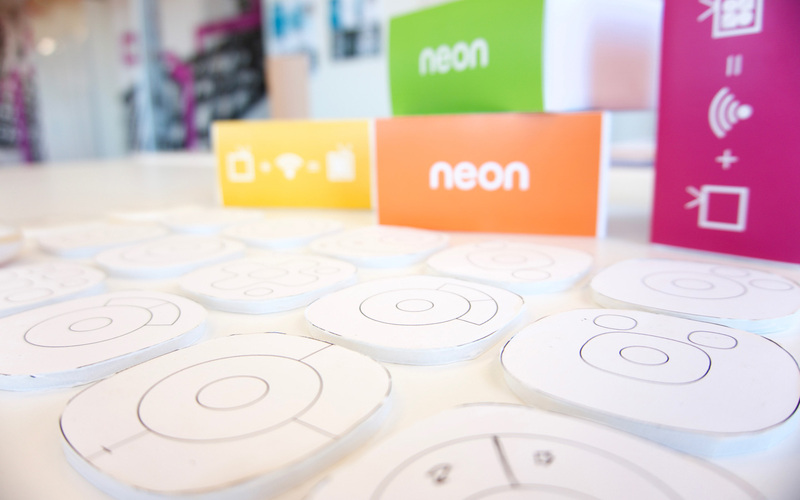 Neon developed a beautiful and engaging experience across their platforms with bold and colorful branding. 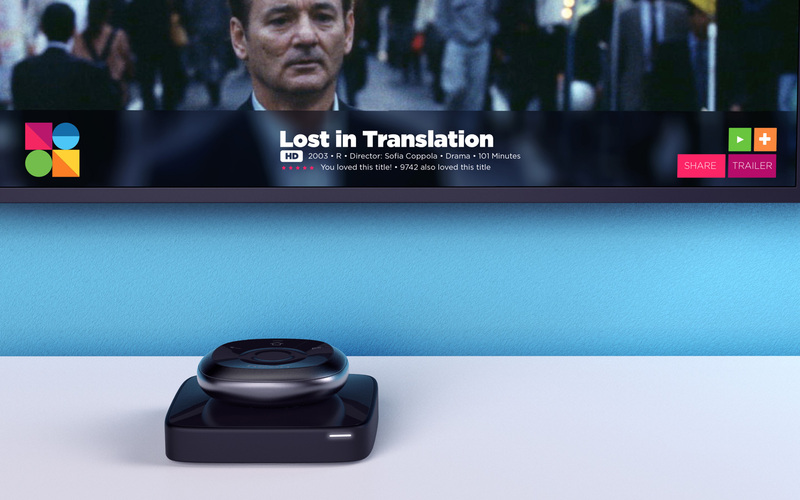 When developing a hardware strategy for the brand, Loft wanted to celebrate this playfulness and create a remote and set top box that felt out of the ordinary while still melding seamlessly with the user’s home. Loft developed an out of box experience that set Neon apart in its celebrated treatment of the product and simple, pictoral quick start guide. 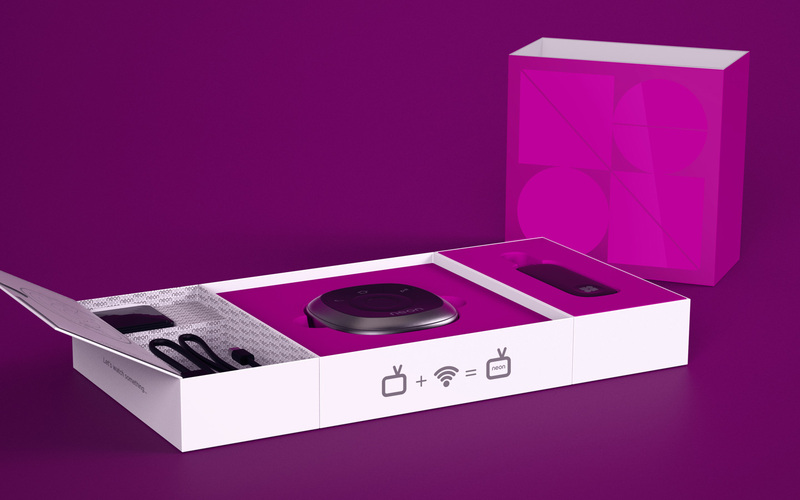 The sleeve that encased the inner box would be printed in each of Neon’s brand colors so that a stack up of the products on the shelf could double as a point of purchase display.